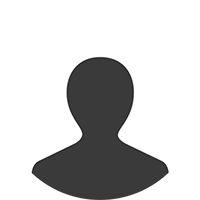 Should the Export-Import Bank be Reauthorized and Reformed? These reforms will help ensure that the Export-Import Bank is a trustworthy steward of taxpayer dollars, while allowing it to continue helping American businesses sustain jobs and compete in the global economy. Raise the import tax and get Americans back to work so we're not dependant on other nations for the stuff that we need and make here. The Export-Import Bank is nothing more than taxpayer-backed corporate welfare. Export subsidies -- like those provided by the Ex-Im Bank -- don’t create jobs, and primarily help large, well-connected businesses. The loss of US jobs and competitiveness in the global markets has been linked to government coercion of the Free Market and labor force. When will people understand the government never makes anything better. Government only provides the bare minimum results at the highest price to the tax payer. What is House Bill H.R. 597? This bill would reauthorize the Export-Import Bank through September 2019, and reforms both its management hierarchy and the policies that it operates under. It also contains provisions aimed at allowing the Export-Import Bank to facilitate private sector job creation, while increasing oversight of the banks activities. The Bank’s lending cap would be reduced from $140 billion to $135 billion, and the minimum share of small business-related activity would rise from 20 percent to 25 percent. There would be independent audits of the Bank’s portfolio, and the Bank would be required to increases its reserves held for losses. A Risk Management Committee would be established, and a Chief Risk Officer position would be created -- both of which would provide oversight of the Bank’s operations. Also, a Chief Ethics Officer would oversee ethics practices among Bank employees. The Treasury Secretary and the President would be directed to enter into international negotiations to eliminate export credit financing within 10 years of this bill’s enactment. Businesses utilizing the Export-Import Bank, the Export-Import Bank, the Department of the Treasury, Congress, and the Secretary of the Treasury. 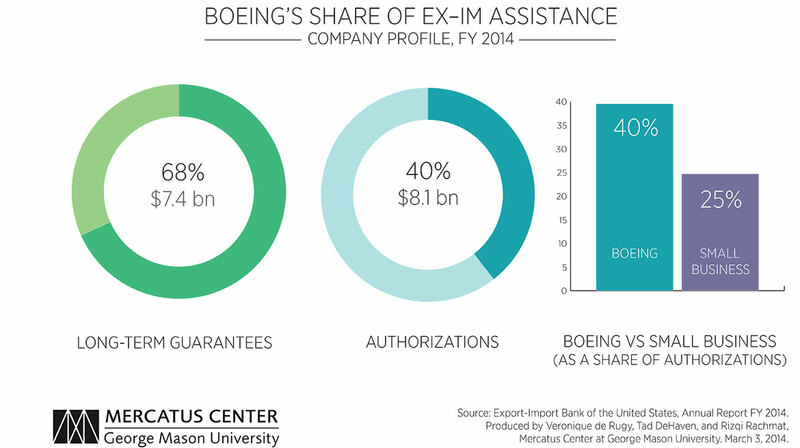 The Export-Import Bank (or Ex-Im Bank) has been criticized as corporate welfare because several of of the companies that benefit the most from its existence are among the largest corporations in the U.S. About 40 percent of the Ex-Im Bank’s 2014 authorizations benefited Boeing alone, and nearly two-thirds of the Bank’s 2013 money went to 10 U.S. companies that include General Electric, Caterpillar, and Ford along with Boeing. Of the $2.3 trillion that the U.S. exported in 2013, the Ex-Im Bank only approved $27.3 billion of loan guarantees for those which amounts to about 1.2 percent of the value of that year’s exports. Proponents of the Ex-Im Bank point out that nearly 90 percent of the Bank’s total transactions involved small businesses, and in 2014 those transactions were valued at about $5 billion, making up around 20 percent of the total value of the Bank’s activity that year. It has also been noted by the Bank’s supporters that these activities supported over 160,000 U.S. jobs in 2014. Of Note: The Export-Import Bank was reauthorized in September 2014 for nine months, meaning that it is due to expire on June 30, 2015. 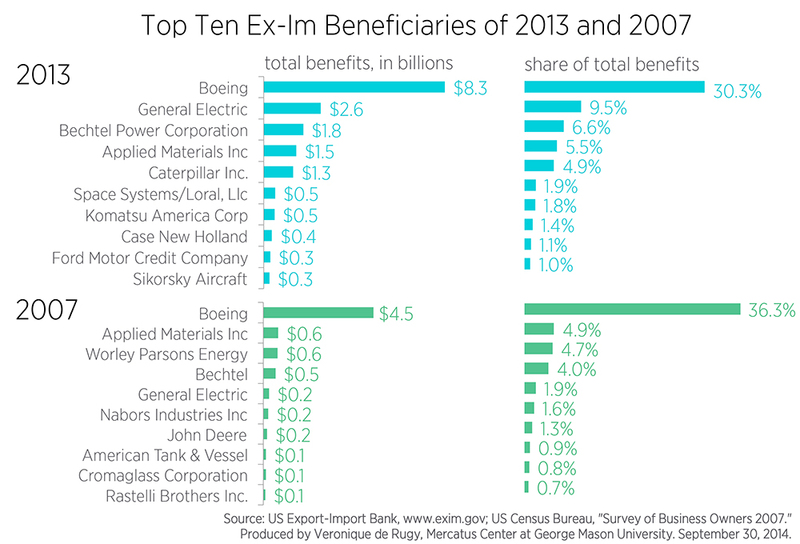 In addition to doubts about the Ex-Im Bank’s benefits, it has been maligned for its cost -- its price tag was estimated at $2 billion between 2015 and 2024 by the Congressional Budget Office. Doubts about the long-term survival of the Ex-Im Bank date back at least as far as December 2011, when the White House drafted a contingency plan to be put into place if Congress failed to authorize the Bank’s appropriations during that budget cycle. Roughly 80% of our GDP is generated by the combined efforts of small to mid-sized businesses, yet the power of corporate America, and the tax and legal breaks by which businesses are supposed to be given assistance, as well as profits are (as with the wealth of the nation) concentrated amongst a handful of large corporations. Ex-Im simply serves to continue benefitting most the companies whom need it the least, while those responsible for the actual strength and stability of our economy continue to struggle. The subsidies given to foreign purchasers through Ex-Im do not “create or support” jobs, but instead “redistribute” them from unsubsidized firms to subsidized firms. This needs to change. No more foreign handouts. Spend tax dollars on domestic needs! 90% of transactions with the bank have been [involved] with small businesses, there is no need to reform this bank in any way. ABSOLUTELY NOT!!! There is absolutely no need for the US taxpayer to float loans to large corporations. The market is flush with available credit! This is the worst type of crony capitalism and it needs to stay dead! Privacy should trump all, that is the basis of our constitution! For those who say that China has full control of their networks, that is true. As they have nationalized their entire infrastructure. But they also limit an individuals access to anything outside their control. They will kick your door in and send a person to a re-education camp for attempting to post anything anti-government. If this is your idea of protecting the country, then move to China, Iran, North Korea, or any country that controls every aspect of their citizens lives! We really should drop all subsidies. Let the free market work. The bank should be reauthorized. Not clear it needs tone reformed.